I don’t usually do sponsored posts. I’ve told you that I’m not above it and I’m not. This is something that could benefit you, though, if you’re not happy with your current website hosting company. I have been using SiteGround for The Less Desirables for six years. I also used them for Tart & Tangy Triad when that was going and it’s now the hosting company for The Beer Dads. They are always “up.” I believe in my six years, I’ve only had about 2 hours downtime that I’ve been aware of. Why is This Deal Amazing? Customers are reluctant to change hosts, even if they’re having a bad experience, for two reasons: the migration hassle and expected downtime; and the already incurred cost for prepaying the service. We have the perfect counter arguments to both: our expert team will do the migration absolutely for free, preventing any potential downtime, and we’ll compensate up to six months from their previous hosting contract. To top it off, we’ll also transfer their domain for free which will make things easier to manage, and includes a one year renewal of the domain. No migration hassle, no downtime, free compensation and free domain transfer! See? SiteGround has you covered! You can get all the transfers and migration done hassle-free and they’ll even help you out of the contract. Plus, you save money on the cost. That’s just good business, I’d say. And you’d be helping me out. I am a sales affiliate for SiteGround and can offer you this deal, right now. But, you have to hurry, the deal is only good for this week. From Sept 1 – Sept 8. Click on the banner below or visit The Less Desirables website and click on the banner on that page. Either way, if this deal sounds good to you, then this is your “limited-time” opportunity. I’d appreciate the clicks and I think you’d appreciate the benefits of the offer. Every Friday I come into the Such-N-Such Media studios (where The Less Desirables Network shows are recorded) and turn on the lights, set up the vid cam and record this little thing we call the “Appetizer” for Tart & Tangy Triad. Every Friday, as long as there’s not a holiday or some other event that I must tend to. This morning I set up the lights, stood in front of the green screen, recorded and moved over to the computer to turn it into the “Appetizer.” There was an update for Adobe Premiere Pro CC so I did the update. As soon as that was done, I opened it and started importing all the usual media that I use each and every week. Well, the music, intro and backgrounds were all available, as was the footage I shot. But the titles wouldn’t import. “Titles,” for those who don’t know are the overlays that have my name, websites, anything that goes over to describe something on the screen. I was flipping out. I contacted Adobe and was on their chat, even allowing them to take over my system to find out what was wrong. They told me that the titles didn’t work with any new updates; they had to be used with the version that made them. I told them that part was BS because I’ve been using the same titles for almost two years and I know I’ve gone through about 6-8 updates since then, including the big switch from the 2014 to 2015 conversion. They wanted me to revert then update. I said that only put it off a week. Then I’d have the same problem again next week. I said it was easier to just make new ones, even though that took about an hour of my time to do. But, I did it. Got through the video, exported it, got it all working. Then I saved each individual title for future use. For S’s & G’s I decided to reimport one. Well, they were grayed out. Didn’t work. Wouldn’t let me. So I contacted Adobe again and said that last thing was utter BS. So after another hour and twenty minutes, they figured out (I think they had to go ask about twenty people because there was long periods of inactivity and a lot of cursor circling, indicating confusion) a work around. I don’t know if I’m the only one with this problem, I’ll ask if any of my friends that use Premiere Pro CC have had this problem. The workaround it seems is that you have to put the titles into a separate folder and import that folder into PPCC and use them from the folder. It’s actually a cleaner process to do it that way, but I can’t figure out why, now, after all these years of the program, are they making that mandatory and why didn’t they include this information in any documentation that went with the update? Adobe, I still love ya but you kind of dropped the ball on that one. Anywhat! I got it done, working and I’m ok but that is 2-3 hours I’ll not get back that I feel that I wasted. Here’s the finished product. Enjoy. I’m trying a different approach today. I’m always talking about podcasting and the voice overs and all that jazz, so I figured, why not add a little element of that in the blog? I told you, Dear Reader, that I was going to try new things with this blog. Well, here it is. Have a listen. You’ve known about my podcasting and about my producing the video for Tart & Tangy Triad‘s “Appetizer” each week. I’m not saying I’m a Hollywood producer or videographer, at all! But, I’ve done okay, especially when I have good content. I’m pretty sure you’ve heard me talking about it and how I want to produce for others. That’s what I’m talking about today. What can Such-N-Such Media do for you!? That’s the question. Let’s answer it. So, you want to do a podcast? Great! What’s your podcast about? Is it pop culture? Is it cooking? Is it how to change spark plugs on your car? Is it just talking about the 13 cats you own and how you want to do more? Great! I really don’t care what the subject, we can do a podcast for you. I will say, however, that I’m allergic to cats so don’t bring them to the studio. Whatever the subject is, though, there are a few rules that you have to follow. You have to really be dedicated to your podcast. Getting a friend or two together to talk in front of the microphone is great for you, but who cares about that other than you? I’m pretty sure that unless you’re two girls talking about what you have or would like to do with the local university’s football team, people aren’t going to just listen to a “shoot the breeze” session. Be focused on the subject matter, even if the subject matter changes, take it by the horns and wrangle it. If you’re doing a show about cats, each episode should be dedicated to one subject. This week, it could be what size litter box your cat prefers (I’m assuming there’s multiple sizes, again, I’m allergic to cats) and spend your 15-30 minutes talking about that. Be specific, on point, and try to keep the tangents to a minimum. If you have questions you want to field from listeners, friends or family, then put that all together. Example, open the show with: “Now, we’re going to field a few comments from the listeners that have written in.” Or do it at the end, or as a break. Just don’t spread that, around; it dilutes the continuity of the show. Another key is scheduling consistency. If people don’t know when you’re going to have a show, they’re not going to care to listen. Yes, you may be on iTunes or Stitcher and it may show up when they check in, but if it’s been a month and a half since you produced something and it was two months before that and a few weeks prior to that, then you have no “show.” You have a sound recording that you talk about cats (or whatever). If you’re only going to do it once a month, then tell the listeners and followers that the schedule is once every month. There’s nothing wrong with that. However, if you say you’re going to do it once a week, pick a day of the week and put it out on that day. Here’s a hack: in podcasting, it doesn’t matter when you record the show. It matters when you publish the show. If you are worried about consistency, start broad. Say you’re going to do it every two weeks. Then when you go to start recording it, record as many as you can at once, without wearing yourself out (it does happen) or making it uninteresting. Sometimes, The Beer Dads will crank out up to three shows in one setting and release them one at a time; once every week. That way you have some in reserve if something comes up, you want to go on vacation, your equipment goes awry, etc. Another thing is, we record The Beer Dads on Monday evenings but they’re not published until Thursday. The other end of that, The Less Desirables, Fan Interference, Tart & Tangy Triad are all published the day/night of recording. Usually, within 20-30 minutes of finishing them. Just make sure you’re consistent. Another hint, have not only good content but good sound quality. People aren’t going to listen and aren’t going to take you seriously if your sound quality is less than stellar. There are way too many shows out there that do what you do for them to have to listen to garbage. In my studio, I use professional grade equipment and put out a good sounding product. I can do that for you, too. The bonus of having me do your podcast is that you don’t have to worry about how it’s going to sound. You’re going to sound good. I pride myself on good production. We can record up to 5 people simultaneously or even more if you’re (collectively) willing to share mics. We can Skype people in either on video or via phone calls. I take the file, produce it, shine it up for you nicely and deliver it to you in whatever form and whichever platform you prefer. Okay, say that you absolutely know this podcasting thing is for you and you don’t want to rely on anyone to make sure it’s done. You want to do it in your underwear sitting at your dining room table at 1:30am. OR, you have those 13 cats and want to have them with you on the podcast. Well, I can tell you, I’m probably not going to be at the studio and I’m probably not going to come to your house to record that. You want to do it all by yourself? Great! I’ll help you figure out what exactly you’re looking to do, the best equipment (just to get your feet wet, not like my setup; least cost-intrusive) to purchase, the programs you need and what to do with it after you’re done. I’ll order the parts for you and include that in the consultation fee so it’s all there. We sit you in front of your computer, get things rolling and after a few tweaks and instructions, you’ll be on your merry podcast way. This is just the tip of the iceberg. We do promotional, instructional, educational and “just because” videos; voice overs for commercials or narration; record audiobooks; consultations (as explained); copywriting and editing and the list goes on. If it’s digital media, we’ll have a way to help you anyway that you need it. We’re competitive and affordable. 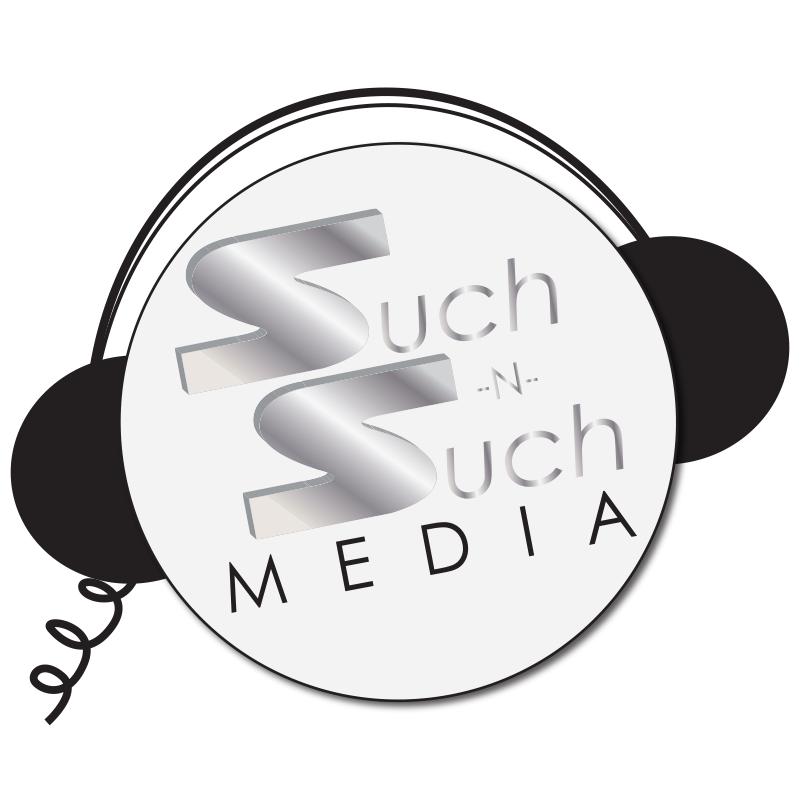 We don’t have “set” rates for most of our services as we offer “personalized media solutions,” tailored to your needs. Is there something here that interests you? Then send me an email, visit our Facebook page or give me a call (the number is on the FB page). Let’s set up a meeting and talk about how we can help you get yourself heard and seen.